Jerry Hudec, Jr., the owner and operator of Hudec Cattle Company, is an established Angus and Limousin breeder. Since 1975, Jerry has been artificially breeding his herd to only the best sires. He and his family take pride in how gentle his cattle are. Buyers return time after time because of the reputation that Hudec cattle have of not only having good genetics but docile personalities. 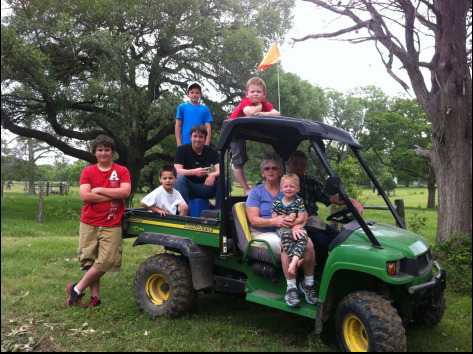 The Hudec land where they live in Weimar, Texas has been in the family for over 125 years. Jerry and Teresa Hudec have four children and seven grandchildren. Their children grew up raising all kinds of animals including cats, dogs, chickens, sheep, horses, pigs and always cattle. For over 20 years, they cycled in and out of the show ring with their animals. Growing up on a farm and raising animals taught them a lot of life lessons and skills. Jerry and Teresa hope to continue to share those same lessons and skills with their grandchildren.